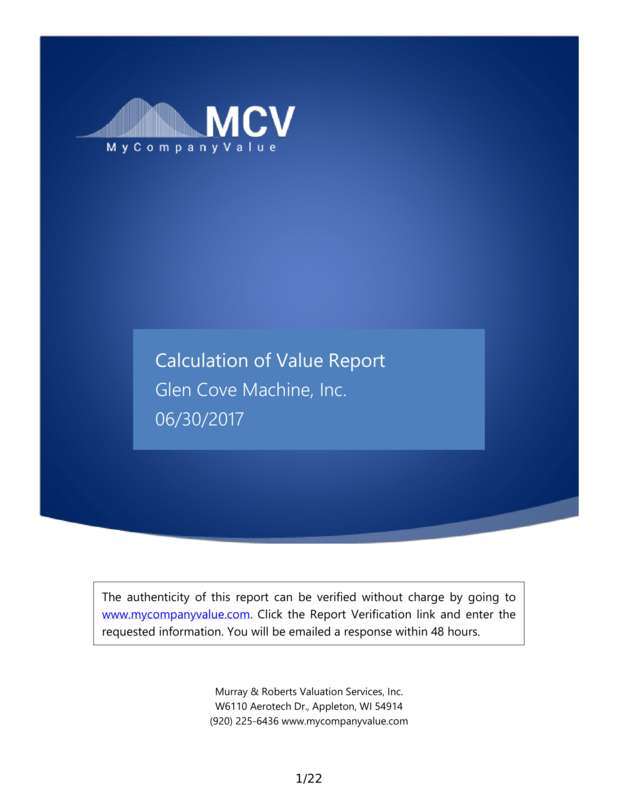 One of the most common errors made in small company business valuation reports in the Income Approach is failing properly adjust for capital structure. In the following case, accounting for working capital and capital structure result in huge value adjustments. You’re a newly hired valuation expert working for a private equity firm. The partner you’re working with needs a valuation of the stock of HMR Manufacturing, Inc. Your firm is considering a controlling position in HMR’s stock. HMR is a world leader in the design and manufacture of hydraulic power units for marine applications. The company was founded by the current owner’s grandfather over 40 years ago, and has been highly profitable for most of that time. The owner and CEO, Hank, is asking $6 million in cash for 100% of the stock. The firm needs to know if they can pay Hank his $6 million and still achieve their required ROE of 28%. *All values are fair market value. Given that the company has no projections of near term income volatility, and that their long term expected growth rate is near the inflation rate, your boss tells you to value the company with a Single Period Capitalization Method. E = 1,000,000 / (.28 - .02) = $3,846,156. • RMA data shows that the average manufacturing company of this sales level has only 50% of its total assets invested in current assets, and we intend to beat that average. We’ll distribute the cash, and manage the receivables and inventory until the total current assets are less than $2,000,000; that’s $900,000 we add to the valuation because we can take it back and reduce our initial investment. • RMA data also shows that the average manufacturing company at this sales level has current liabilities equal to 30% of total assets. Assuming total assets of $4,000,000 (after reducing current assets), we should be able to carry payables of $1,200,000; another $900,000 of free capital that can be added to the valuation. Effectively, HMR currently has net working capital of $2,600,000 where industry data suggests only $800,000 is necessary. HMR has excess assets (unnecessary for producing the normalized cash flows) of $1,800,000! The private equity firm can pay as much as $6.6 million for HMR’s stock and still achieve its ROE of 28%. After pulling $3.1 million out of HMR’s reorganized capital structure it will only have invested a net $3.5 million of equity. Aren’t the planned changes in company capital structure synergistic, and therefore not to be considered on a fair market value basis? No. The anticipated changes in working capital and debt structure are based entirely on the company’s existing resources (not the private equity firms credit, etc.). Further, optimizing the company’s capital structure to maximize shareholder value is no different than making normalization adjustments to cash flows resulting from a controlling ownership interest. For example, reducing the owner/CEO’s salary to a reasonable level is what we would expect a purely financial investor to do upon taking a controlling interest. Optimizing capital structure is no different, and is evidenced in the market place. Any other private equity firm considering acquiring HMR would make the same considerations when determining their maximum bid price. Optimizing capital structure is always a consideration by market participants, and therefore must always be a consideration in determining the value of a controlling equity interest.